In a Facebook post, a woman claims that her husband lost a large chunk of his head because of his energy drink consumption. A terrifying claim by a woman on Facebook is causing a big debate online about the consumption of energy drinks. The woman, named Brianna, claimed her husband Austin is in a battle for his life after having to go in for emergency surgery as she was preparing to give birth to their child. 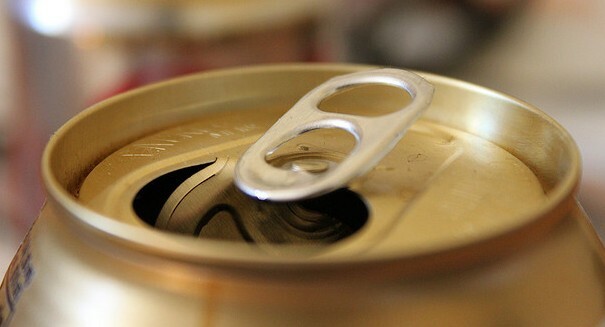 The husband had to be rushed to the hospital due to a brain hemorrhage, and Brianna said the doctors told her that his energy drink habit was the cause, necessitating an emergency operation. At the same time, she would have to go to deliver a child and wouldn’t have her husband by her side. “Being pregnant is supposed to be one of the most amazing journeys you will ever embark on,” she wrote according to an AOL report. “You’re creating a new life. You are experiencing unconditional love for someone you have not even met. Austin and I were so excited to meet our little boy. To bring him home. To be a family. “Surgery was already in motion… and after an agonizing 5 hour wait, we got to see him,” she added. “But while everyone was focused on the almost unrecognizable face hooked up to all sorts of machines and tubes, all I could see was his parents. I saw the light leave his mother’s eyes as she saw her motionless son laying in that hospital bed. I saw his father break down crying as he held onto his wife. The good news is that her husband woke up after she delivered their son.